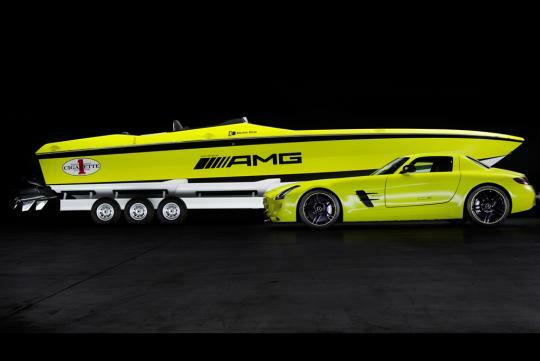 Mercedes-AMG and Cigarette Racing have launched their latest collaboration efforts at the ongoing Miami International Boat Show. 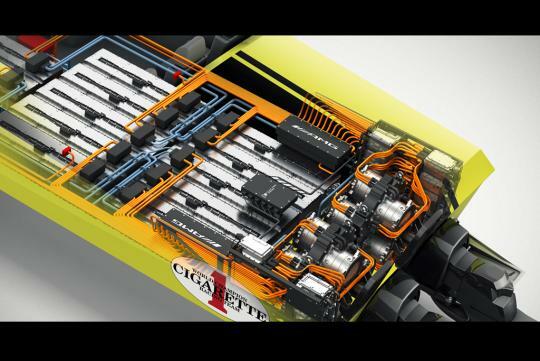 The sleek Cigarette AMG Electric Drive powerboat concept houses numerous components that are similar to its road going counterpart � the SLS AMG Electric Drive. 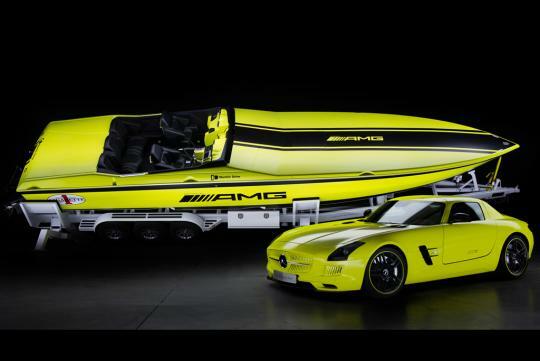 The 11.6m long powerboat is finished in the eye blinding �AMG Electricbeam magno� matt chrome paintwork that is exclusive for the electric SLS AMG. 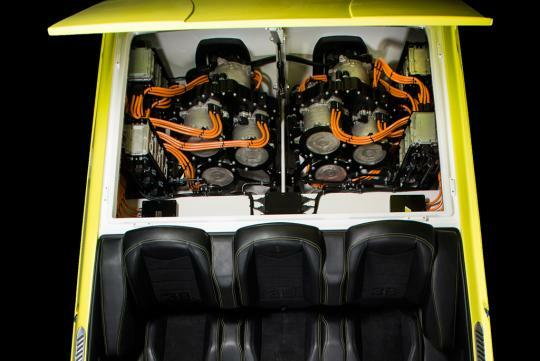 At the rear, each drive unit has its own transmission, one on each side. 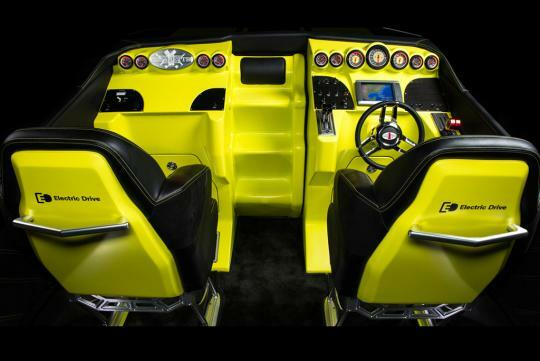 The powerboat is fitted with twelve compact, liquid-cooled permanent-magnet synchronous electric motors. 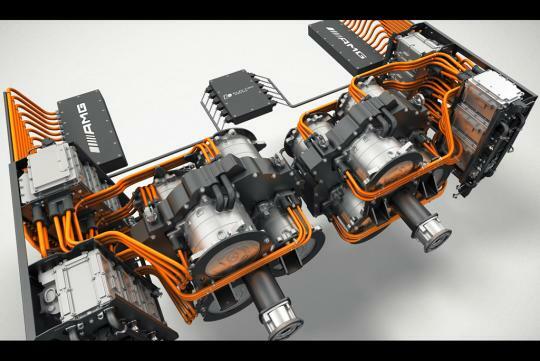 Each electric motor can deliver 185bhp and 250Nm of torque. Together the high-performance drive produces an output of 2220bhp and a maximum torque of 3,000Nm - capable of reaching a top speed over 159km/h. 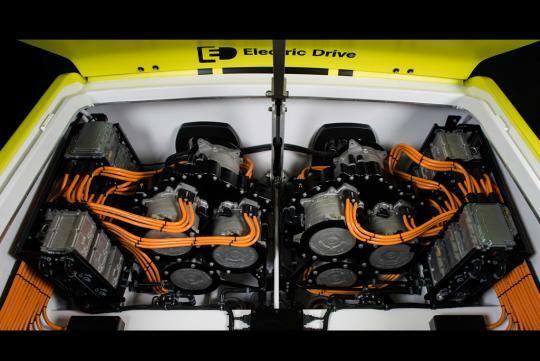 Moreover the powerboat is fitted with dual 22kW on-board chargers that have been modified to fit the infrastructure standard of many American marinas. 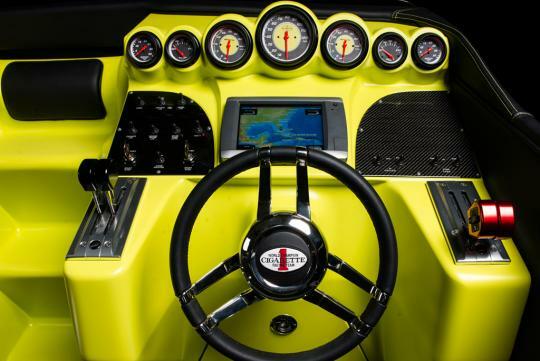 The boat has a charging capacity of 44kW and can be fully charged in approximately seven hours. The charging time can be reduced to less than three hours if fitted with four on-board chargers. The signature Cigarette Racing sports seats are matched with various carbon elements in the cockpit. The dials are finished in the body colour and are adorned with AMG logos. The displays provide information about the current motor output, speed, battery voltage and battery's state of charge. 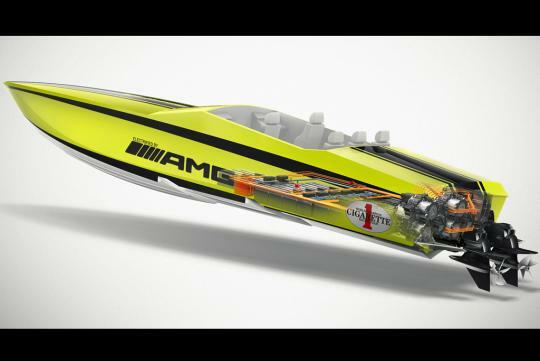 Proudly wearing AMG logos on the side, the powerboat is a clear sign of the alliance between the Miami-based boat manufacturer and Mercedes-AMG.